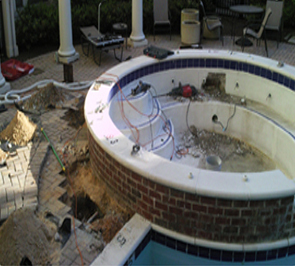 Spa leak repair can be tricky, so it is important to hire a company who knows what they are doing. If the leaks found in the spa are within the spa tank, then they are referred to as a static leak. This is when a pin hole is leaking water through the actual concrete, fiberglas or fixtures. Most of these types of leaks can be fixed with a two part epoxy. 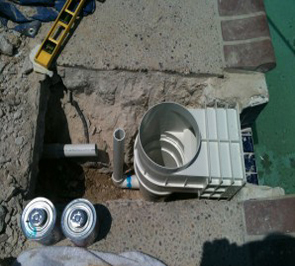 This is the most common type of spa leak repair. If mixed and applied properly, the repair can last years depending on the type of epoxy and application. Spa leak repairs require the right combination of experience, qualification and expertise to do a good job. Aquaman Leak Detection, over the 3 years of its existence, has earned the reputation of being the No.1 Company in customer satisfaction. We have achieved 100 percent customer satisfaction in all the jobs undertaken right since the Company was launched, in 2011. Lowell, founder, has maintained the highest quality service by overseeing the training of his team personally, continuously upgrading the technology used and instilling a culture of total commitment to customer satisfaction. One of the best techniques for hot tub and spa leak repair is ‘flood grouting’ for which Aquaman Leak Detection is an authorized dealer. This method requires 72 hours from end-to-end, after which period you could use the spa or hot tub as usual. Another form of foundation leak repair is the conventional way which requires cutting concrete and jack hammering to expose the broken water line. Then returning it back together by a professional. For the best customer satisfaction, which includes quick, reliable service at affordable prices, call Aquaman Leak Detection today. There are no charges for the visit if the leak is not found and 100 percent satisfaction guarantee on every job we take up.